Lexia® RAPID™ Assessment for grades K–12 helps teachers and educational leaders make decisions that promote reading success. 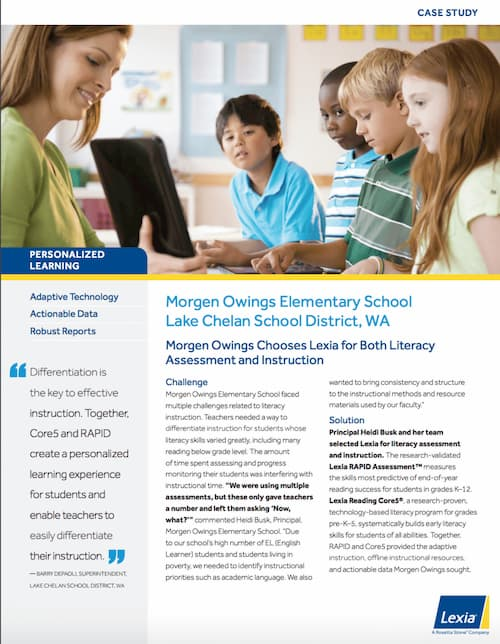 This research-based, computer-adaptive reading and language assessment allows educators to gather predictive, norm-referenced data up to three times a year, with immediate scoring and reports. RAPID for Grades K–2 measures students’ foundational skills in the key reading and language domains of Word Recognition, Academic Language, and Reading Comprehension. RAPID for Grades 3–12 measures complex knowledge, understanding, and application of skills within these domains. With tasks that adapt based on individual, real-time performance, RAPID predicts students' likelihood of end-of-year success. RAPID provides a skills profile for each student and connects teachers to instructional strategies to target students' needs. Educators can determine whether students have made progress in the reading and language skills assessed by RAPID. "“Two students may be struggling with reading, but for very different reasons. 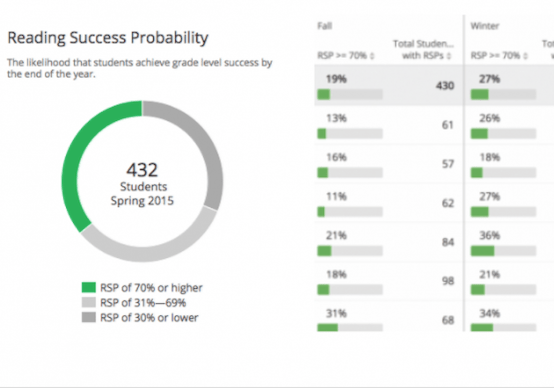 RAPID is the only screener that helps us easily identify where a student is struggling." Work-Based Learning: A New Frontier for Schools? Work-based learning is everywhere these days as an emerging, sought-after component of a 21st-century education. Indeed, a simple internet search for the term yields myriad news citations, with policymakers and politicians often calling for more work-related and work-based learning experiences for students—especially high schoolers.